Chef Mike Romano brings the flavor of traditional & regional Italian cuisine to his restaurant. As a culinary trained chef from Naples, Italy Mike Romano has been cooking traditional Italian dishes throughout Italy and Europe. 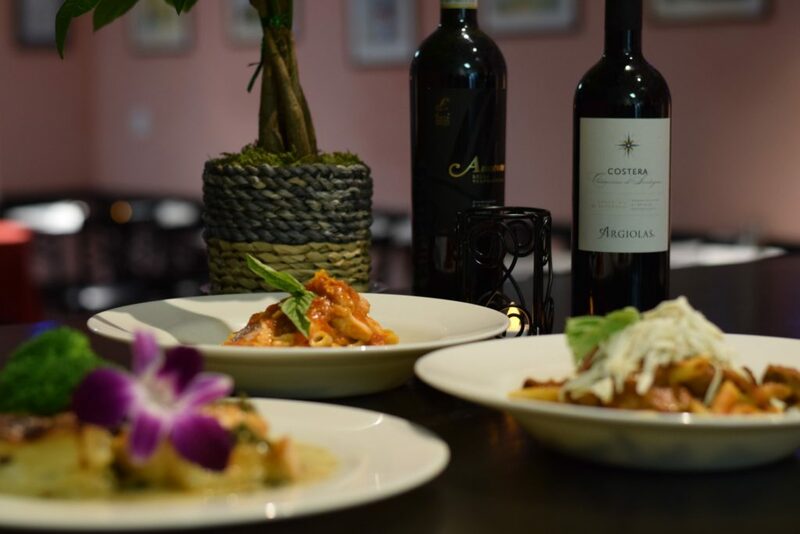 Immigrating to America, chef Romano has opened up his newly renovated Italian Restaurant located in South Fort Myers en route to Sanibel Island. 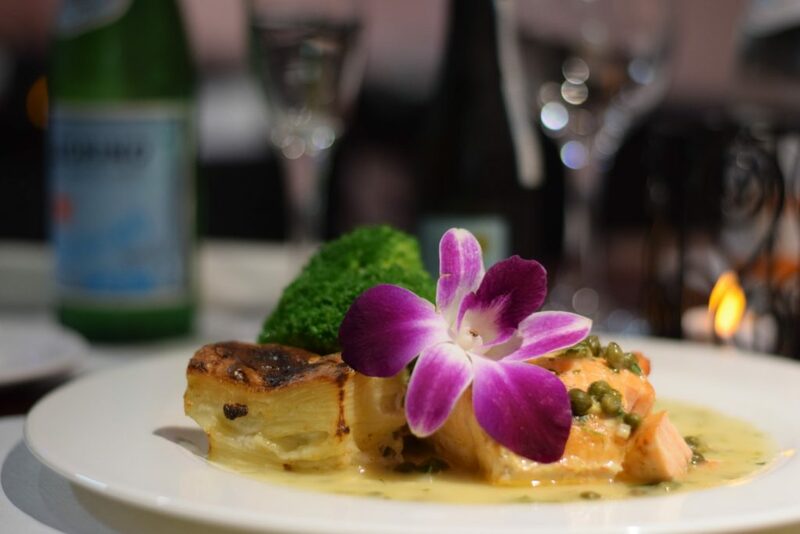 Chef Romano uses authentic Italian ingredients in every dish he serves. They are prepared as if you were eating at a restaurant in Italy. If you want the taste of authentic Italian food no need to go to Italy. Just come to Café Italia. Chef Mike Romano developed a passion for cooking at an early age. He loved to be in his grandmother's kitchen when he was a boy. He fondly remembers when she was cooking her homemade sauces with fragrant aromas filling the entire home. Mike would wake up around 6 or 7am while the slow cooking tomato sauce was temporarily left unattended on the stove. He would then sneak a piece of bread to dip into the sauce while his grandmother was not looking. Caught a few times, he remembers he would get his hand slapped. The memories of those days still lives with him. 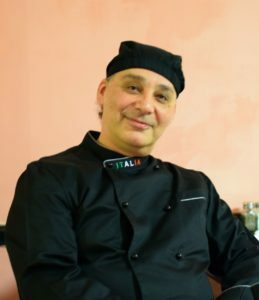 Chef Romano says nobody has ever cooked like his grandmother and that passion she had for cooking is what Romano puts in every dish he prepares at Cafe Italia. What is an authentic Italian dish? Chef Romano explains that when the Italian immigrants came to America those that opened restaurants began to Americanize their dishes for the American pallet. They began to use different ingredients than they would use in Italy. Keeping true to traditional Italian Cuisine. Chef Romano uses authentic Italian ingredients in every dish he serves. From fresh house made mozzarella to imported peppery Parmigiano-Reggiano & Prosciutto. It is a taste of Italy in every bite. Diced Tomatoes, garlic, capers, black olives, E.V.O.O. basil pesto. Thin sliced marinated beef tenderloin with lemon juice, E.V.O.O., arugula and fresh shaped Parmesan cheese. Italian wedding soup, vegetable broth, meatballs, escarole. Like us on Facebook to see our specials. Layered egg pasta with meat, mozzarella cheese, béchamel and tomato sauce. Homemade Crepes stuffed with spinach, ricotta and Parmigiano Reggiano, served with tomato, pesto and béchamel sauce. Homemade Crepes stuffed with sausage, ricotta and Parmigiano Reggiano, served with tomato, pesto and béchamel sauce. Eggplant, béchamel, mozzarella and Parmigiano Reggiano, tomato sauce, served with spaghetti pasta. Stuffed with ricotta cheese and spinach, tomato sauce. Tomato sauce, fresh basil, fresh mozzarella. Chicken Parmesan, tomato sauce, mozzarella, Parmigiano Reggiano, over spaghetti pasta. Chicken Marsala, mushrooms, Marsala wine sauce, with scalloped potato and broccoli. Salmon Piccata, white wine lemon butter sauce, capers, parsley served with scalloped potato and broccoli. Homemade focaccia bread stuffed with curved Prosciutto di Parma, fresh homemade mozzarella, roasted red peppers, arugula, basil pesto, Parmigiano Reggiano cheese. Slow roasted Pork stuffed with lemon zest, pancetta and fresh herbs. Romaine lettuce, oven roasted tomatoes, caramelize onion, Parmigiano Reggiano cheese, lemon confit, basil pesto. Fresh baked bread, Tomato sauce, homemade fresh mozzarella. Breaded chicken breast, provolone cheese, tomatoes, arugula, tomato, basil, E.V.O.O. Homemade fresh mozzarella, tomatoes, arugula, balsamic dressing, basil pesto.